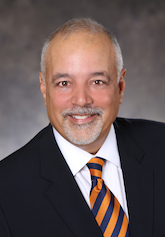 Firm partner Helio De La Torre wrote a guest column that appeared in the Daily Business Review last Friday, September 26, calling for the Florida legislature to consider significant changes to the state’s condominium termination law. “In light of the importance of property rights in our society, it has come as a shock to many that the condominium termination law, which was amended by the Florida Legislature in 2007, is now being used successfully throughout the state by real estate developers to take over communities and force unwilling homeowners to sell their residences at prices that are often well below their original purchase price, and in many instances, below their remaining mortgage debt. “State Rep. Carl Zimmermann, D-Palm Harbor, filed a bill in this year’s legislative session that was aimed at giving those owners an opportunity to recover their investment, but the bill died in committee. It now appears that such a bill would have the support of Florida’s next governor, regardless of who prevails in the November gubernatorial election. Gov. Rick Scott has asked state regulators to determine what could be done to stop the abuses of this law, and a spokesman for Charlie Crist has indicated that the former governor now believes the law needs to be changed. Zimmermann’s proposal was to require developers to pay at least 110 percent of the original purchase price, or 110 percent of the fair market value, whichever is greater. Another option was proposed by former Gov. Jeb Bush, who vetoed the condominium termination amendment in 2006. He suggested only allowing for a single vote per person/entity, regardless of the number of units owned. A third option would be to change the law so that it applies only to properties with significant hurricane damage as opposed to allowing it to be applied for undamaged complexes. Our firm congratulates Helio for shining a spotlight on the significant problems with this law and calling for Florida’s lawmakers to address these issues during the next legislative session.